A pocket-sized introduction to essential NLP principles and techniques you can apply to your life today. The Little NLP Workbook is a practical guide full of simple neuro-linguistic programming exercises to help you take your life in the direction you want. Packed with interactive questions, checklists and exercises so you can write down your answers there and then The Little NLP Workbook is designed to be simple, yet thought-provoking, enabling you to learn how to use NLP quickly, easily and effectively in your everyday life. Written by a certified NLP Master Trainer, The Little NLP Workbook is for anyone looking for a highly practical introduction to harnessing the power of NLP, helping you to set and achieve the goals you really want and overcome the typical challenges that we all face. Core NLP processes are fully explained with accompanying easy-to-follow exercises, allowing you to improve your communication and apply NLP techniques to your own situation. The Little NLP Workbook is also structured as a handy guide that can be revisited again and again to refresh your memory, or when your life circumstances change. 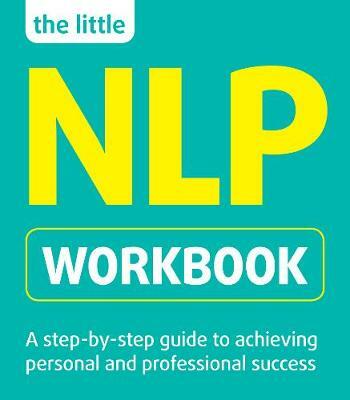 Concise, pocket-sized and easy to digest, The Little NLP Workbook will help you understand the benefits of NLP, give you expert tips and advice on how to put into practice NLP techniques and achieve your goals sooner than you expect. This workbook is a practical and jargon-free journey through a number of highly effective NLP (Neuro-linguistic Programming) and coaching techniques.